… or, as I like to think of it, the violent rush of wind (風) from a pack of dogs (犬 –> 猋) galloping past. Or perhaps cycloning around you. 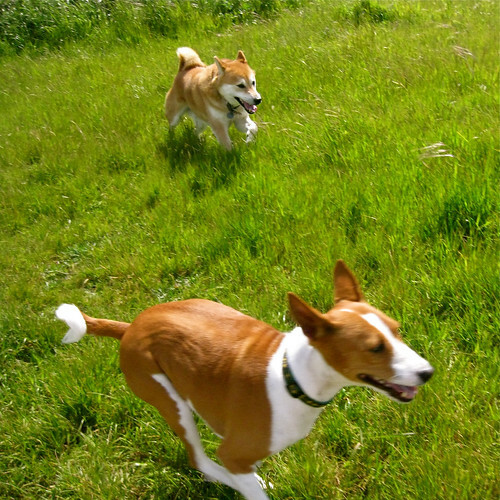 Okay, I know two dogs is just a pair, not a pack… but they’re “windy” enough for me! In contemporary usage, this term has come to refer to dragracers on public streets (飆車族), a phenomenon that took off in Taiwan in the mid 1980s.